One of the questions I most frequently receive as an instructor is “What is the next level?” or “What is the next step after swimming classes?”. Obviously becoming a safe swimmer is everyone’s first priority but what comes after? Learning safe swimming is like learning basic arithmetic in school. It’s enough to get by but there is so much more you can do with it. Unfortunately, most people assume that competitive swimming is that next step. That would be like assuming everyone who progresses past basic arithmetic wants to become a mathematician. There are so many more options than just that one path. Snorkeling is another way to enjoy the skills learned in safe swimming. What is Snorkeling? Snorkeling is basically swimming that has been optimized for observation of the underwater world. 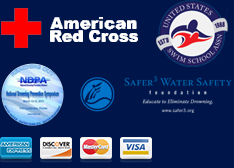 You will use many of the skills you learned for becoming a safe swimmer and learn a few new skills that go with the equipment. What equipment will I need? 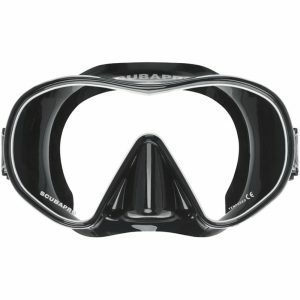 First off you are going to need to replace your standard swim goggles with a snorkel or scuba mask (fig. 1). You will also need a snorkel (fig. 2), this is what you will be using to breathe while swimming. 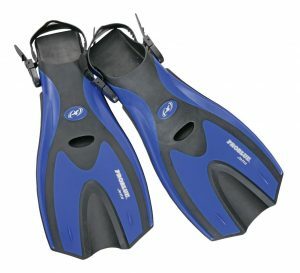 While you could snorkel with just those two items, most snorkeling is done in open water so a pair of fins (fig. 3) would be very useful for ease of propulsion. 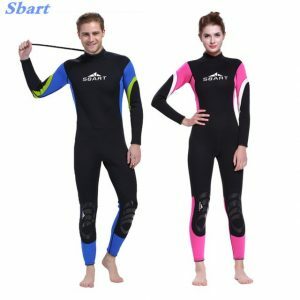 Two optional items are a wetsuit (fig. 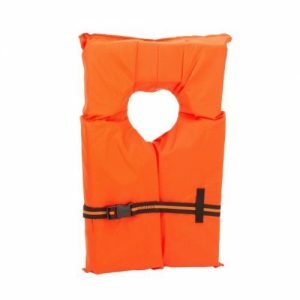 4) and a Personal Flotation Device (aka PDF, fig. 5). 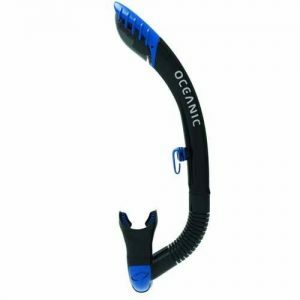 The necessity of these items is dependent on the conditions at the snorkeling site and the skill of the snorkeler. On a personal note, I recommend bringing a disposable underwater camera. Pictures are a great way to remember your adventures! What skills do I need? Not too many actually. I recommend basic confidence in deep water and basic propulsion. You may want to have some practice time in pool getting used to swimming with flippers and breathing through a snorkel. I strongly recommend the use of a wetsuit if you get cold easily. Also, using a wetsuit or PDF will reduce the effort required to stay on top of the water and therefore keep you from getting tired as quickly. However, these items are not a replacement for confidence in deep water. There are some advanced skills that allow you to dive down, swim around, return to the surface, and clear your snorkel without removing the snorkel from your mouth but these are not necessary for beginning snorkelers. Safety Advice and Other Advice. Most people go snorkeling while on vacation. When traveling, do your homework, make sure you know what kind of conditions to expect at whatever site you want to snorkel at. If you are using a charter service make sure they have a good safety record. Finally, once you arrive at the site, use your own judgment on whether you are comfortable going snorkeling that day. For example, 7-9 foot waves and a strong chance of rip currents make less than ideal snorkeling conditions. Try again when conditions have improved and you will have much more fun. Weather forecasts and advice from locals can be very helpful when looking for places and times with good conditions. Have Fun! Use the confidence and swimming skills you have learned in swimming class to have some truly awesome adventures. Seriously though, snorkeling was one of the most fun water activities I did as a kid. I used to bring my snorkel gear to the beach and go looking for shells. Snorkeling was probably the most fun activity I did in open water. At least until I learned to Scuba dive… but that’s a story for another day.